The Olmec civilization developed in the period of the Lower and Middle Preclassic, spanning from 1500 BC to 100 A.D. 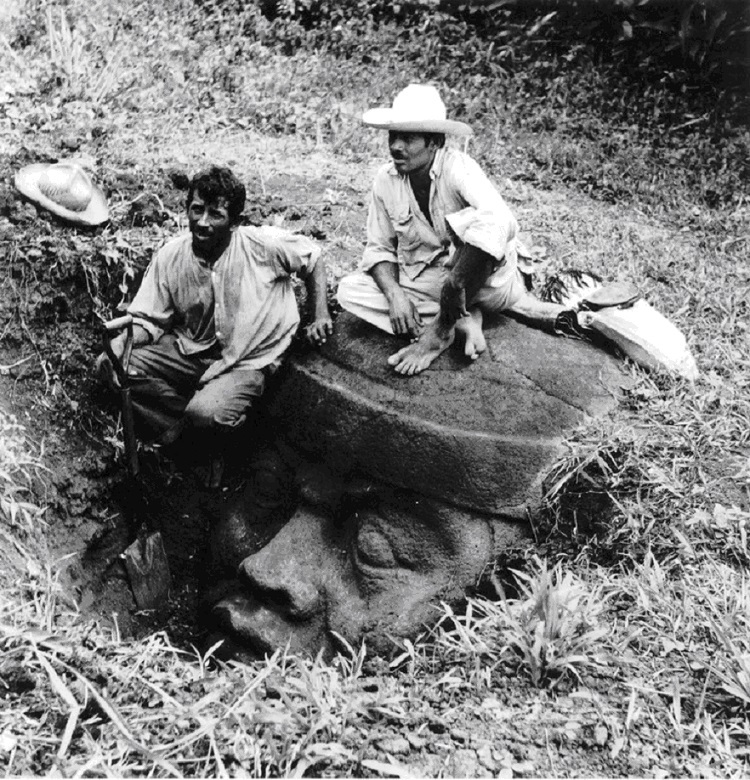 The name Olmec is translated to "people of the rubber country" and was awarded to them in 1929. It refers to the culture developed in southern Veracruz and northern Tabasco, in the territory of modern-day Mexico. 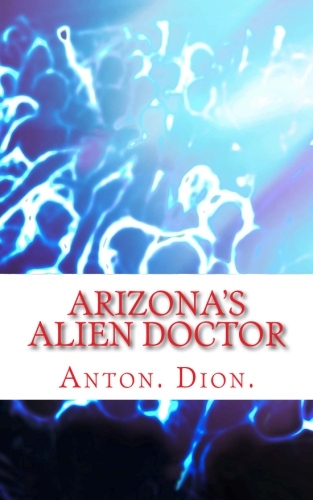 Regrettably we do not know their actual name nor do we know what language they spoke since the written records left behind by this influential civilization has not been deciphered. cultures of Mesoamerica originated from this mysterious civilization. The ancient Olmecs achieved an incredible degree of development, totally incomprehensible if we consider that we know nothing of their origin nor their roots. The Ancient Olmecs knew about animal domestication, beekeeping, and extracted a substance with hallucinogenic properties from a frog native to the gulf of Mexico. This practice was also shared by shamans in the Yucatán peninsula and islands in the Caribbean. Their stonemason skills were something noteworthy, achieving incredible constructions and monuments, like the giant Olmec heads, before the Aztecs, Mayas and other civilizations of the Americas. The question that has baffled archaeologists and other researchers is how? From where did the ancient Olmecs obtain their knowledge and where do they come form? Many researchers today have tried explaining the Olmec civilization and their advanced knowledge in many fields. The inability to answer almost anything about the Olmecs has led numerous researchers to suggest that these ancient people have a very mysterious origin, one that points to an otherworldly connection. 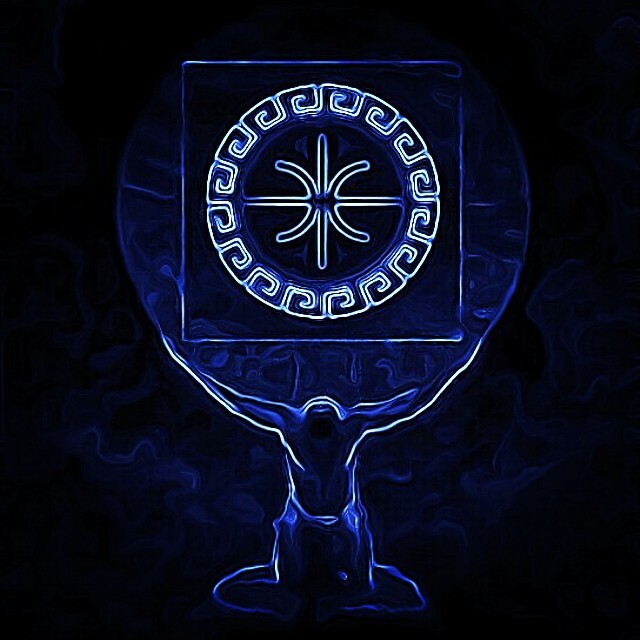 The only "reasonable" explanation that would lead to the understanding of such complex advancements in cultural and technological development is that these ancient people had contact with civilizations more advanced than we can ever imagine. The Olmec culture was inherited by other great Mesoamerican civilization such as the Maya and Aztec. At the most important ancient Olmec sites such as La Venta, San Lorenzo, Laguna de los Cerros and Tres Zapotes, researchers have found the most important discoveries that could lead to the understanding of this ancient civilization. 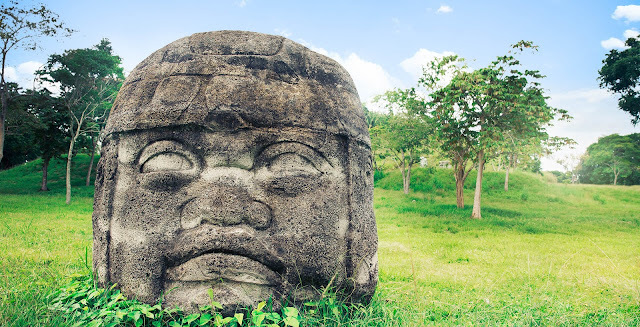 Olmec art has numerous forms, the most important archaeological findings are the giant heads, but there are also altars, thrones and stele that are believed to narrate important historical events of the ancient Olmecs. The ancient Olmec religion revolved around supernatural deities, they worshiped the jaguar-gods, crocodile and snake gods. 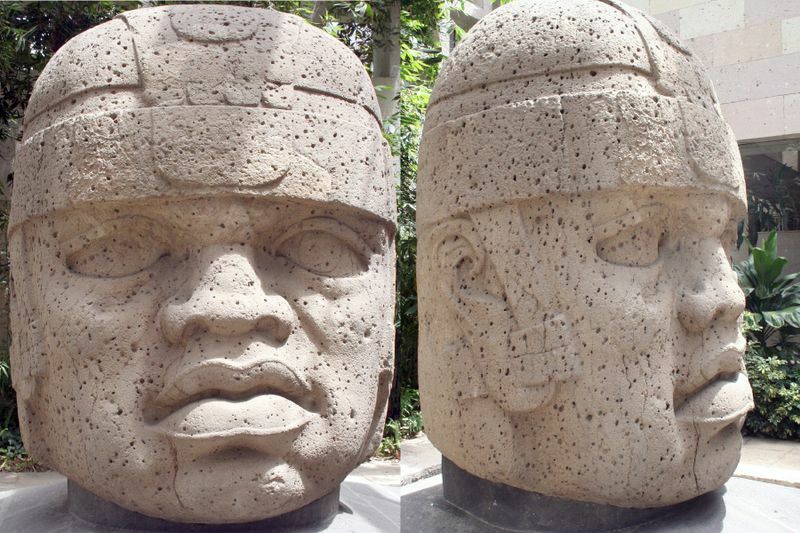 The giant Olmec heads are one of the most important symbols of this ancient civilization. They were able to transport rocks weighing over 20 tons which points to incredibly technology that would allow them to move these giant blocks of stone across rivers, jungles and mountains. No one has been able to logically explain how they managed it. Researchers believe that the ancient Olmecs had a very profound understanding in geology, which has allowed them to reuse materials for different purposes. It is believed that some of the Olmec heads were actually altars that were "reused" and redesigned. Their knowledge in geology allowed this mysterious ancient civilization to literally "terraform" certain regions. The San Lorenzo plateau is one of those examples. It is considered one of the most important architectural projects in ancient times. The entire region was "modified" to the liking of the ancient Olmecs. This project involved the removal of tons of Earth and rock that allowed the construction of giant terraces, walls and monuments, literally transforming their surroundings into a sacred area for their inhabitants. The question that still remains is, how did ancient man achieve this... thousands of years ago? The truth is that researchers have no idea of ​​their origin or their language or their religion. As a cultural manifestation, the ancient Olmecs spread our from the Gulf where they expanded to all Mesoamerica, reaching the Maya in the South, the Totonac culture in the North and even the Nahua in central Mexico. By Olmec influence, all other cultures developed in Mesoamerica, but the origin of the Olmec is still a mystery that researchers cannot seem to explain. This ancient civilization is noted for their sculptures of giant heads, which have become one of the most profound mysteries for researchers. Today, researchers have not been able to decipher the way on how these giant heads were built, and possibly reused. History tells us that the ancient Olmecs did not have knowledge of the wheel, but a finding by American archaeologist Matthew Stirling in the 40s tells an entirely different story. At the archeological site Tres Zapotes, Stirling unearthed numerous children toys, one of those consisted of a dog that had wheels on it. Does this point to the fact that the ancient Olmecs did in fact have knowledge of the wheel? It would be hard to believe that "the wheel" would have been only used for the amusement of children. If the ancient Olmecs did possess the knowledge of the wheel, is it possible that they had other technologies that were ahead of their time? If so, did this "lost technology" allow them to achieve incredible feats that are causing confusion among archaeologists and researchers today? Other important enigmas about the ancient Olmec civilization is their origin. The Negroid features on some Olmec sculptures has caused great confusion among researchers. 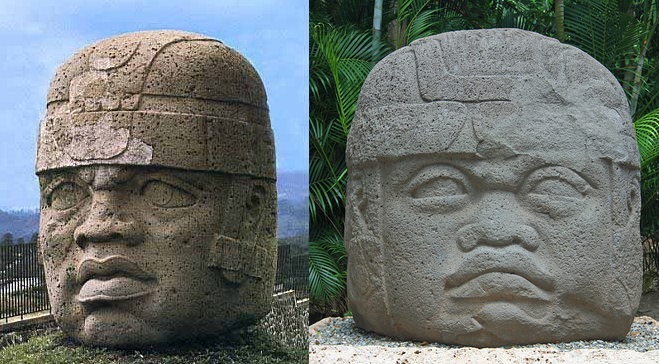 The giant Olmec heads seem to depict people who are not native to the Americas, but Africa. Does this point to the fact that the Olmecs cam from a different continent? If so, how did they do this? Archaeologists estimate that the period of existence of the Olmecs was between 200 and 500 thousand years before Christ. According to several studies, there were three areas where the ancient Olmecs focused their reign, these were mainly San Lorenzo, Veracruz; Tabasco Sale and Tres Zapotes, close to Santiago Tuxtla, Veracruz. The great Olmec civilization is mainly noted for their giant heads, which have become a giant mystery ever since their discovery. To date, researchers have not been able to understand how the ancient Olmecs managed to create these giant heads and what was their exact use. A map showing the principal settlements of the Olmec civilization in Mesoamerica (modern-day Mexico) which flourished from c. 1200-300 BCE. Archaeologists haven clue what the original name of this ancient civilization was. The name "Olmec" comes from the Aztec language which means rubber people. This ancient civilization has a completely unknown origin. some researchers like to believe that this ancient civilization got to the Americas by chance. Some have even suggested that this great civilization originated in ancient Sumer. Wit and mystery are two of the qualifiers for the "Olmec heads." They are a true mystery to researchers who are unable to decipher their meaning and the way how the ancient Olmecs managed to quarry, transport and design such large pieces of rocks. The first discovery was made in 1862 and several years later, in 1925, the giant heads were considered a rarity. The Giant Olmec heads usually show two ears with pierced lobes and what looks like a helmet. This 'wrestler' from La Venta has clear Asian characteristics: The beard is not found in the Amerindian genotype. One of the most mysterious findings is a 3.5 cm hematite bar that has caused mixed reactions among researches. When placed on water its axis points towards north. According to researchers from the university of Michigan, this device was a compass. This changes a lot in history since it would mean that the ancient Olmecs are the inventors of the compass and no the Chinese as previously thought. The device is believed to have been used to position their constructions facing north. At the archaeological site of "La Venta," researchers have found hundreds of artistically engraved jade objects. All were found buried in long, deep trenches that had been filled with several layers of clay from different regions. This points to the fact that the ancient Olmecs were incredibly skilled manufacturers. A dog with "wheels" is considered as the best example of the advanced knowledge of the Olmecs. Some researchers attribute the invention of the wheel to the ancient Olmecs. It is believed that the Olmecs invented the wheel. This toy is a demonstration of their incredible knowledge, way ahead of their time. The ancient Olmecs used to make toys. Some of the remains that have been found show that the Olmecs used to carve different types toys. A rare and mysterious example can be found at the Museum of Anthropology in Xalapa. The object seems to depict an elephant, an animal which did not exist at that time in America. 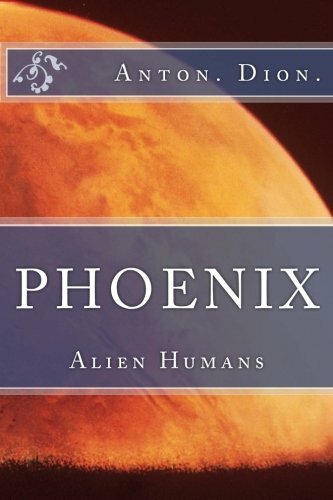 This subject reinforces the theory that the inhabitants of this civilization came from Africa. The "Cascajal block" is considered as one of the most mysterious and oldest Latin text. It consists of 62 symbols, some of which are repeated four times. 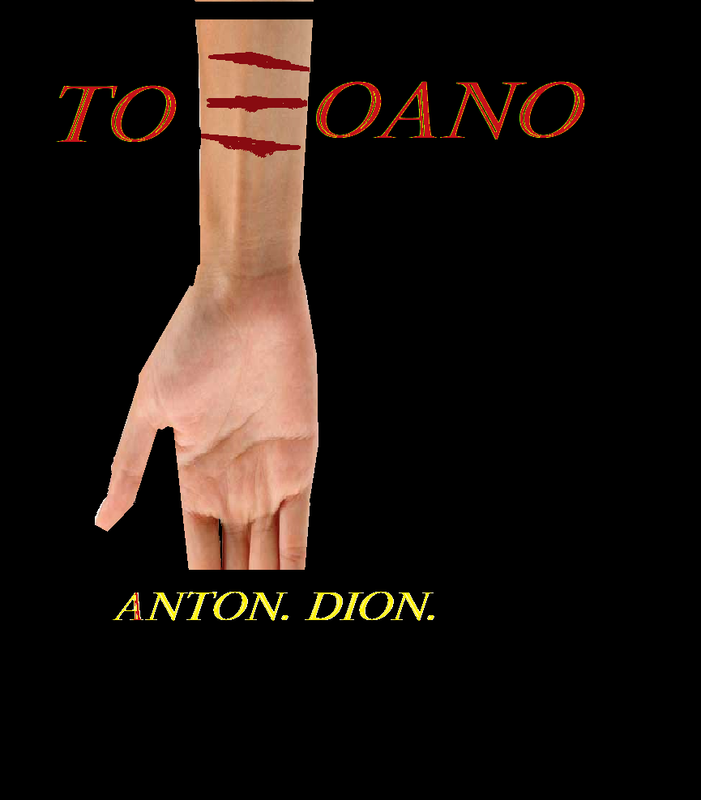 Scientists have tried to explain and decipher it but without success. It is thought that this could be a new "Rosetta Stone" which hides many hidden messages and secrets. The ancient serpentine tablet (The Cascajal Block) is dated to around 900 B.C. It is the oldest accepted example of writing in the New World, scientists say. Just like the Aztecs and the Maya, the ancient Olmecs disappeared into the mists of history. At the beginning of the Christian era and for no apparent reason, it is believed that the Olmecs gradually abandoned their sites. The people who settled into the Olmec sites acted in a vengeful spirit, tearing down the Olmec sculptures. The Ancient Olmecs are believed to have received "divine support." Some of the legends say that they made their incredible constructions with the help of "beings that came from the clouds", these beings are called "Nosoobi."